Ford Bronco's Removable Doors And Roof Revealed? 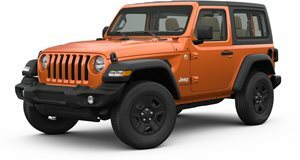 The Wrangler faces some stiff competition. Last week we learned more details about the upcoming new Ford Bronco following a dealership preview event. 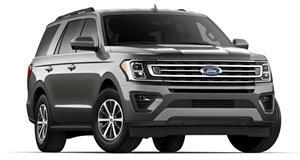 Its general design – round headlights, two-door body style option, and an overall retro look – sure sounds like it’ll bring in large crowds to Ford dealerships. And, perhaps just as important, the new Bronco could even lure away some Jeep Wrangler customers. Perhaps more could jump ship to Ford after learning about what Motor Trend has uncovered in some patent filings. Thanks to a tip and some online digging around, MT managed to find patent drawings showing an off-road vehicle sketch with removable doors and a retractable cloth roof. Let’s start with the doors. These patent drawings not only show a removable door, but also an impact beam that can be removed and reattached. This means owners will have more than one safety option if they’re not in the mood for conventional doors. Plus, a set of impact beams could look extremely cool at the beach, for example. A closer look also reveals the door hinges are modular, meaning you can open and close both the conventional doors and beams. Cool. As for the roof, these patent drawings show what’s clearly a removable cloth roof in place of the regular hard top. But what’s interesting is that instead of going with a single sunshade, Ford has created a roof with two layers – one made of mesh, the second from cloth. This means owners will have up to four roof choices – traditional hard top, soft top, mesh, or no roof at all. And then there’s the drawing showing what appears to be a tent. Yes, really. The cloth roof appears to be capable of being pulled back behind the vehicle and then supported by a pair of stakes. It’s not exactly the type of tent that’ll provide the same level of protection conventional tents do, but rather it’s more like an awning. Still cool for camping trips. Chances are Ford will refuse to comment regarding these patent drawings, but we wouldn’t at all be surprised to see these features make production.